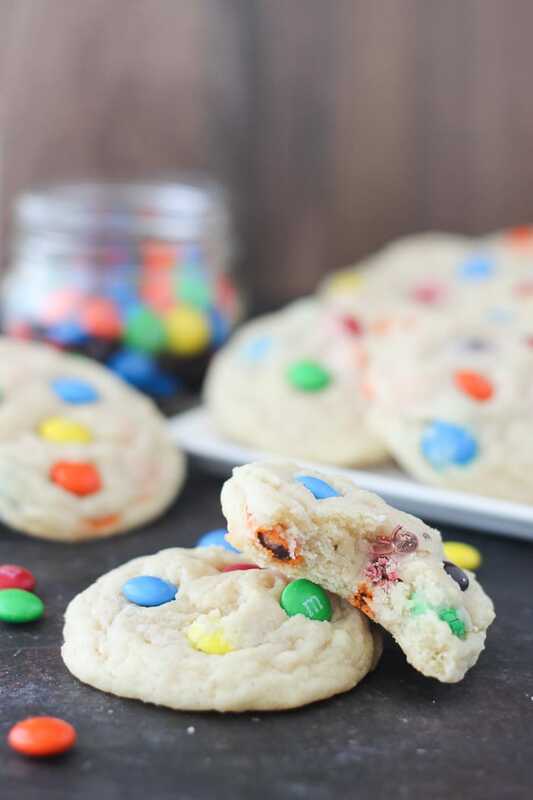 Perfectly Soft and Chewy MnM Cookies - Chocolate Chocolate and More! 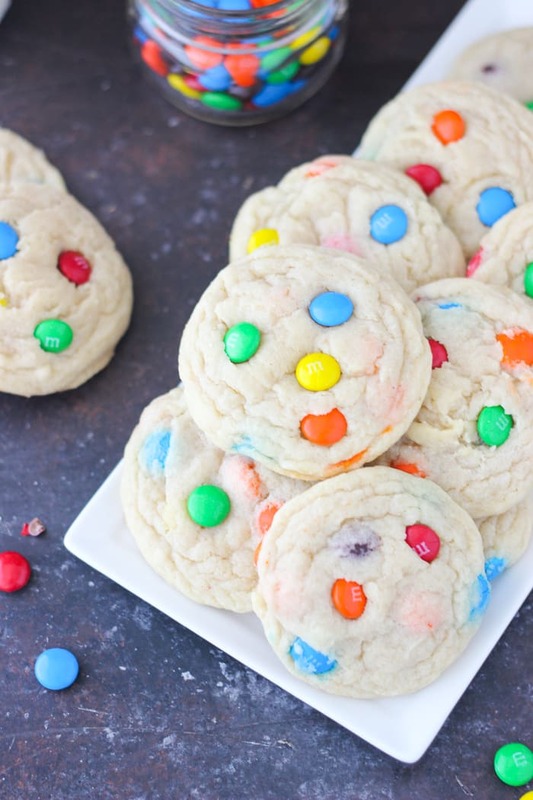 These Perfectly Soft and Chewy MnM Cookies are crisp on the outside and soft and chewy in the middle. This time of year, cookies are in abundance in my house. Just yesterday I packed up a few tins of cookies to ship across country. Cookies are one of my favorite things to make, and let’s face it, nothing compares to a warm cookie. Everyone needs a go-to cookie recipe. 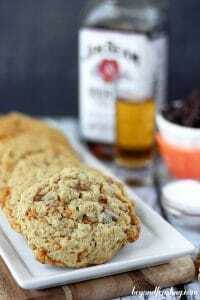 I’ve always been an oatmeal chocolate chip cookie fan, but then I started making my Bourbon Salted Caramel Cookies and those became a quick favorite. 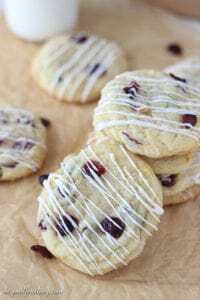 Lately, I’ve been adapting this cookie recipe for all sort of cookies. 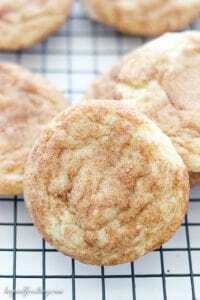 This recipe started off as my Soft and Chewy Snickerdoodle, which I later adapted for my White Chocolate Cranberry Orange Cookies. I just sent a box of these off to a client this past week. 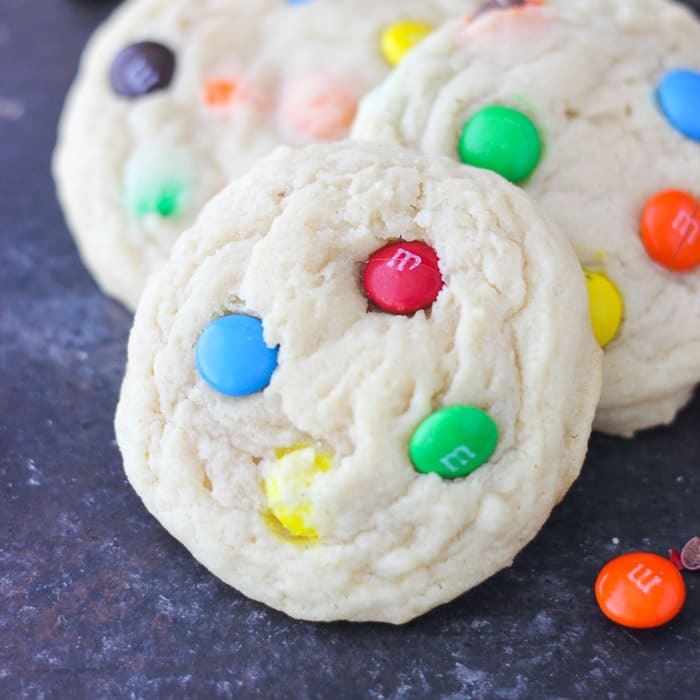 Today, I’ve made these Perfectly Soft and Chewy MnM Cookies. This dough is very basic, but what keeps it extra chewy is the cream of tarter. When starting this recipe, I actually use cold butter. I cut it into pieces and it helps break it up in the mixer. I always cream the butter and sugar until it’s very light and fluffy. It might take a little bit longer since you are starting with cold butter. 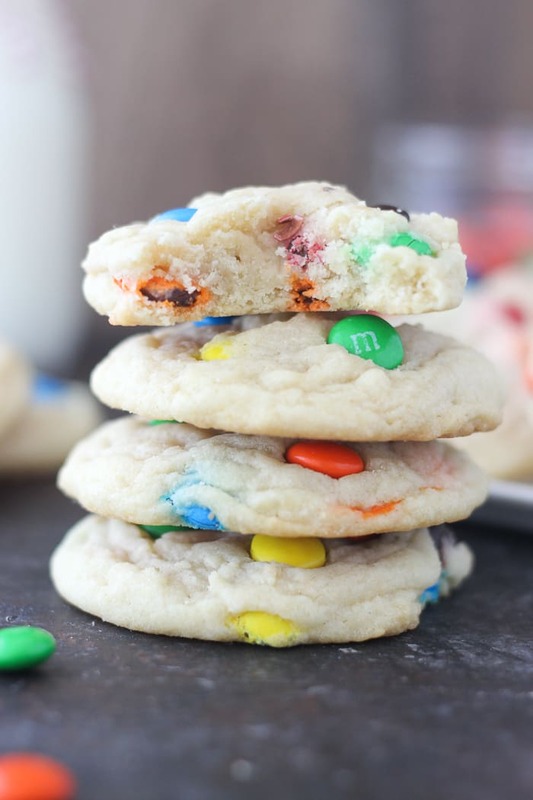 Once all the ingredients come together, I actually fold the MnMs into the dough with a spatula, so that they do not break. If you used your mixer, they would probably break apart. This dough does need to be refrigerated for about 30 minutes. Refrigerating the dough helps give the cookies a little bit of height. Without it, they will be flat like a pancake. If you refrigerate your dough for more than 30 minutes, allow them to sit for about 10 minutes before baking. If the dough is too cold, then they won’t bake all the way through. I also like to scoop the dough and refrigerate it that way, because scooping cold cookie dough can be difficult! I froze a whole batch of these, but they still didn’t last long. Every time I turned around my boyfriend and I were heating up a cookie in the microwave. They were just too good to keep around! Fold in MnMs with a spatula so they do not crushed. This recipe will yield about 36 cookies if you use a medium sized cookie scoop instead of a large. Baking time may need to be reduced for small cookies. 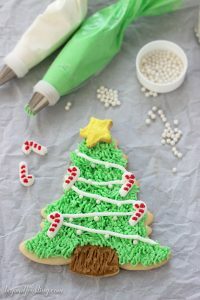 These cookies look chewy and fabulous! Wife and I are scrabbling to come up with ideas for our dessert appetizer platter tray we are making for our guests for our annual Ugly Christmas Sweater Party! And we’re giving away the same $200 artisan wood board on our blog right now! Thanks for the inspiration. Your directions said to combine cinnamon and sugar but you didn’t mention what to do with it. I assume the cookie balls are to be rolled in the cinnamon/sugar mixture before placing them on the baking sheet. Hi Joyce- Sorry this is in error. Omit the cinnamon and sugar. Thank you for calling my attention to it!